Weather forecast The good news is coming up for people of north India, including Delhi-NCR, who have been battling wildly in the past year. This time, during the summer season, the average temperature will remain normal in north India, including Delhi, from March to May. 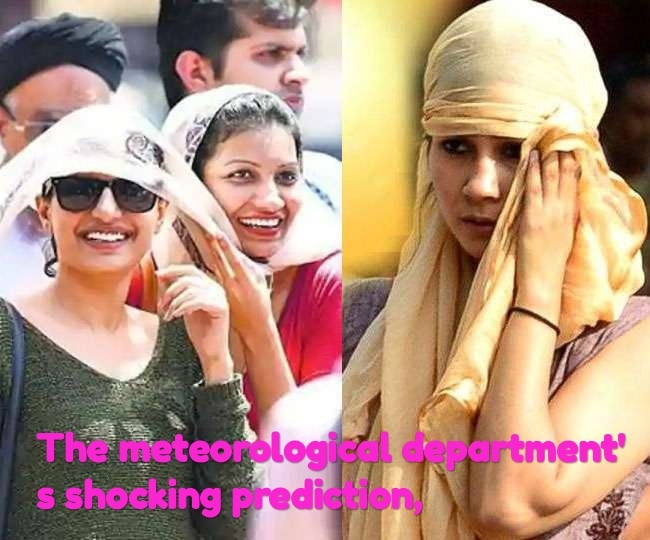 According to the Indian Meteorological Department, except for some parts of the country, between March and May, temperatures will remain normal in North India. At the same time, the northwest, north-east and south of the country are expected to be above average on the western coast. According to the Meteorological Department, in the mountainous state of Uttarakhand, very close to Delhi, from March to May, temperature may remain above normal for one degree Celsius, while in Himachal Pradesh, western Rajasthan, Konkan, Goa, coastal Karnataka, Kerala and Arunachal Pradesh 0.5 Can be up to 1 degree Celsius. At the same time, the states of Punjab, Himachal Pradesh, Uttarakhand, Delhi, Haryana, Rajasthan, Uttar Pradesh, Gujarat, Madhya Pradesh, Chhattisgarh, Bihar, Jharkhand, West Bengal, Odisha and Telangana in addition to the core heat wave zone are Marathwada, Vidarbha, Central Maharashtra And Andhra Pradesh comes to coastal areas. Between March and May, the probability of high temperatures is almost 37 percent. Here, let's say that Al-Nino has an effect in the Pacific region around the equator. In this, the ocean surface temperature increases abnormally in the Pacific Ocean, which affects the weather throughout Asia and East Africa. With this, it affects monsoon rain in India.